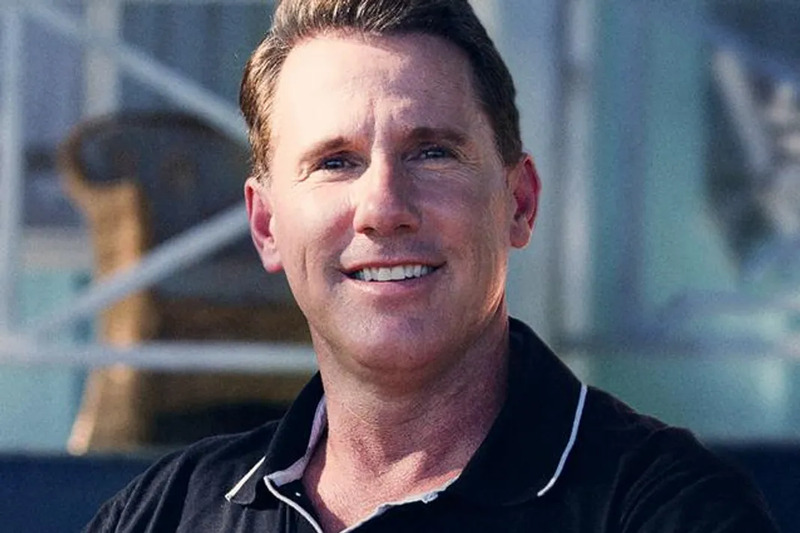 Since the late ’90s, Nicholas Sparks has become the leading name in romance novels and films. With almost 20 romance novels published since 1996, he’s proven time and again that he can tell a great love story, and he’ll never tell the same one twice. From Message in A Bottle, to A Walk to Remember, to The Notebook, and more recently The Longest Ride and now The Choice, each story unfolds with an epic love story that never seems to repeat itself. The Choice is the story of Travis and Gabby, when they first meet as neighbors in a small coastal town and wind up in a relationship that is tested by life’s most defining events. While promoting his latest novel-turned-film, we spoke with Nick about some similarities between The Choice and some of his early work, but he explained what it is that makes The Choice unique. See the full interview below! What about Travis and Gabby’s love story do you think will hook moviegoers? I think that there are a couple of wonderful aspects to The Choice, it’s very reminiscent to The Notebook, in that it’s a story that explores the concept of what happens after the honeymoon is over. So many of these novels and films I‘ve completed, you know that the characters are in love or things didn’t work out. But for those characters that did fall in love, what comes next? This has that element of a two part story. I think that adds an element of believability, it serves to enhance the story itself. I think people will be blown away by the chemistry of Ben Walker and Teresa Palmer, as well as the great supporting cast, we’ve got Tom Wilkinson and Tom Welling and Maggie Grace. All of them serve to make this movie feel intimate, but still new and fresh. I think there are many aspects people are going to love. We noticed those similarities to The Notebook, in the way that Travis and Gabby don’t get along at first, like Noah and Allie. Was that at all intentional in your writing or did it happen on its own? The original character of Travis was inspired by my brother, he was the perfect bachelor. I got married relatively young, where he waited until he was 32 to get married. Boy he learned to really love and enjoy life. It was wonderful, barbecues on the weekend, hanging out with friends, water skiing and boating. He really knew how to live life. So I was like what would happen if he met the one, who happened to move in right next door. So that was the beginning of this particular story, it was this character who was inspired by my brother and it was desire to see what happens next. It was also an idea on how to make it different from The Notebook, instead of making the story over 50 years, let’s do 10, or 8 as in the movie. The characters are different from The Notebook, it’s a different two part story, and really the term the choice. There is a choice to be made. When it comes down to it, it’s all about the choices. Without giving away too much of the plot, what do you think Travis’s biggest choice is and how does that reflect on him as a person? I think Travis biggest choice was essentially the same throughout the story. What does love mean and how do I show that. “What am I willing to do in the name of love?” It then comes down to the choices he has to make. That choice is with him all throughout the entirety of the story. All of your love stories seem to be set in North Carolina. What about North Carolina inspires your writing? North Carolina is obviously where I live. It’s got a geography that is different than most of the places I’ve been, it’s an interesting state. The biggest city is farthest from the ocean. As you get closer and closer to the ocean, the cities get smaller. It’s probably because of hurricanes from way back when it was one of the original 13 colonies. It’s different from a lot of other places, it’s very outdoors. It’s boating, it’s very much about the water and backyard BBQs and walks and church. It’s very typical for any small towns to survive, for them to draw together. It’s very polite, everyone’s like we’re all in this together even if you don’t like each other, everyone’s polite. It’s very southern. It’s very exciting to me to introduce people to this, since not everyone gets to experience it for themselves. A lot of your books have been turned into movies – how much say do you have in which book gets picked? Is there one book that hasn’t been turned into a movie yet that you’d love to see on screen? Yeah I have quite a bit of say on which novels get adapted. I either put them up for sale, or I don’t. It’s not simply this desire to put it out there, it has to do with how many movies we’re working on and if I have time to sit as a producer on a film, based on what’s on my schedule. It has to do with my other time commitments, I do other things like write novels! So I do have a say, if there is one that hasn’t been made, I’d have to say my most recent See Me. It’s still out, it’s still on best seller’s lists. I think it could make an incredible film. What would you say has to be the hardest part of turning your films into movies? Is it hard to let go of the reigns? The hardest part is making them unique in their own way, so you don’t feel like you’re watching a retread of the same thing. If you look at my most recent film, The Longest Ride, compared to The Choice, they are very different in their own rights. To make them feel so different, that is a hard thing to do. The Choice feels different from Nights in Rodanthe or Message in a Bottle. That’s the hardest part, making them feel new and different. What is the most fun aspect of that process? The Choice was the first film done by my production company. I had a say in everything, from where it was filmed, to the budget, and who the supporting actors were going to be. I’ve always had a hand in the major actors, but I got to be involved in choosing the supporting cast. It was really fun to be involved in every aspect of this film. The Choice, starring Benjamin Walker and Terersa Palmer, with Tom Welling, Tom Wilkinson, Maggie Grace, and more is in theaters February 5th, 2016. 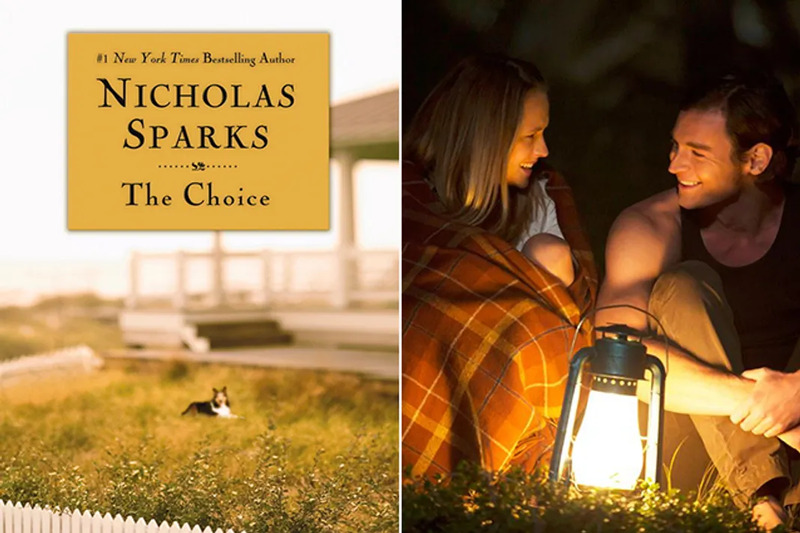 Which Nicholas Sparks Leading Man Is Right For You? How Well Do You Remember 'The Notebook'?